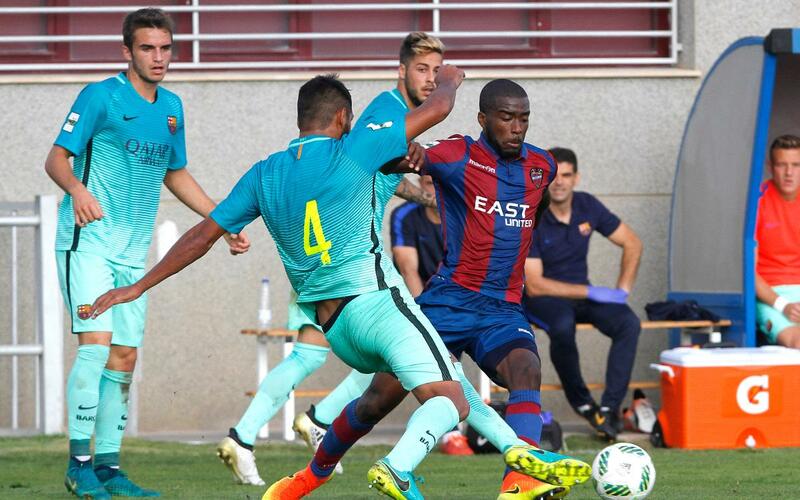 FC Barcelona B created a number of chances to take the win but were forced to settle for the point from their visit to Bunyol against Atlético Levante on Sunday (0-0). Gerard Lopez’s side naturally entered the game bursting with confidence due to their positive start to the campaign but failed to turn their possession into anything significant. It was in the second period where they really came to life. After Jose Suárez in goal had to block a goalbound effort from the hosts, it was time for Barça to threaten. Marlon had two great chacnes from set plays but the defender was unable to convert any of them to a goal. The chances continued to rain in on the Levante goal but it simply would not go in for the visitors. The result means that they remain tied in third place with Hércules on 16 points.